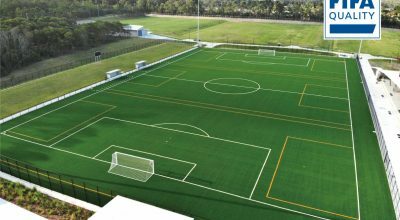 Artificial grass is commonly for sports and leisure/landscape applications. It can also be applied for art decoration. Art is the world of color and the inspiration of creative. The artificial grass is rich in color and has no limit in decoration form. You can dress up the art venue whatever you want. 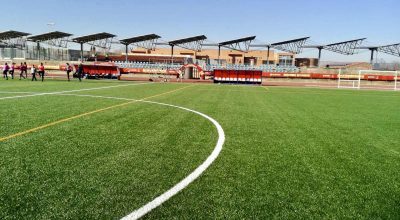 The green artificial grass turf is installed on the ground to add a springy atmosphere. In the colorful art space, a touch of green can improve people’s aesthetic fatigue. The color artificial grass can be designed as a banner or a logo pattern, which is highly recognizable and novel in form. Artificial turf can fully combine color and pattern to create a different artistic atmosphere for the art gallery. Of course, some people may ask: “when artificial grass is used as a decoration in an art place, is there any over-decoration causing environmental problems?” the answer is that it is definitely NOT. The professional artificial grass manufacturers or factories usually use high-quality raw material, which is certified by SGS fire detection certification, toxic and hazardous substances testing and certification, product quality control systems.